Born of a nation of seafarers and merchants, this 320 year old company has seen its way through French occupation and trade blockades during the Napoleonic Wars, two World Wars and the restrictions of the prohibition era. In the last half century De Kuyper has maintained a strong market share through building its brand profile as an independent family-owned producer of carefully crafted products. The name De Kuyper means a manufacturer of kuipen (wooden barrels) which were used for the transport of jenever (a pot distillation of fermented grain mash redistilled with juniper berries) and beer - it is the Dutch equivalent of the English name Cooper. The De Kuyper story starts in 1695 with a marriage certificate recording the union of one Petrus de Kuyper, and the current de Kuyper family traces their ancestry, and with it a link to the distilling trade, back to this 17th century Dutch cooper. The third son born of this marriage, a Rotterdam shopkeeper named Jan de Kuyper, purchased a distillery in nearby Schiedam, a city that was already the centre of jenever manufacturing. The Low Countries were ideally situated to draw from the grain fields of northern and central Europe, and the economy of Schiedam, at the mouth of the great river Maas with its North Sea shipping ports, was dominated by the handling, processing and distillation of grain. Botanicals used for flavourings were supplied by the Amsterdam based trading giant, the Dutch East India Company. The Schiedam distillery was sold two years later but in 1769, two of Jan’s sons, Johannes and Pieter, both brandy merchants, joined forces and re-entered the jenever production market after purchasing a distillery in Rotterdam (another vast grain port), and at the same time they joined the Distillers Guild of Rotterdam. Although the Netherlands no longer dominated global commerce as it had in the 17th century, the Dutch nation still had seafaring and trading in their blood and in the mid-18th century the export market for jenever was thriving. The De Kuyper brothers quickly expanded their business through the purchase of two existing distilleries and by building four new ones. Of these seven, five were sited on the River Baan in Rotterdam. The ownership of their own malt house is indicative of the scale of the De Kuyper operation, as the capacity of a malting far exceeds the needs of an average distillery. In 1797, they took a further half share in the building of a malt-mill named De Arend (The Eagle). Napoleonic occupation of the Netherlands (1795-1813) created severe problems for Dutch distillers. Foreign trade (particularly that with England which was important both as a jenever customer and as a supplier of the subsidized malt that had been such an important element in the rapid expansion of the Dutch distilling industry) was seriously disrupted by the continental blockade, and despite a fair amount of smuggling, export trade declined. By 1800 (the same year that the once monumental Dutch East Indian Company was liquidated), the Schiedam distilleries were operating at only two-thirds of their full capacity, and at just a sixth by 1811. By now the business was in the hands of two of Johannes’ sons, Johannes and Cornelis Petrus (two of the distilleries had gone to their sister, Catherina de Kuyper) and it is impressive that despite such a challenging market these two brothers continued to expand the business throughout this period. Between 1804 and 1816, depressed property prices gave them the chance to make the cheap acquisition of three distilleries in Delfshaven and one in Rotterdam. Recovery after French occupation was not easy. During the years of the occupation, some overseas markets had been lost to other suppliers and new distilleries had been established abroad to fill the needs previously met from the Netherlands. At home domestic sales were burdened by excise on domestically produced distilled beverages that rose form 15.5% in 1824 to a high of 75.5% some years later. These high domestic duties meant that despite its challenges and the increased competition, the foreign market was still the best, if a very difficult proposal. And it was this market that De Kuyper chose to pursue. Between 1818 and 1825 De Kuyper incurred repeated losses and in 1825 the brothers decided to split up the company. The distilleries in Delfshaven were taken by Cornelis Petrus who is thought to have sold his properties soon after. The Rotterdam distilleries were taken by Johannes who entered into partnership with his son, Cornelis, thus forming Johs De Kuyper & Zoon. This firm, containing the five Rotterdam distilleries, is the direct predecessor of the current De Kuyper Holding NV of Schiedam. Two years later Johannes and his wife died and it seems that Cornelis preferred to focus on trading over distilling; in 1834, in order to settle his parent’s estate, he sold the distilleries. Two of the distilleries, those named Anchor and Clover-leaf, both of which were located on the Baan in Rotterdam, were purchased by his younger brother, Eugène de Kuyper, but when Eugène died some years later, Cornelis bought them both back. Following the death of Cornelis in 1848, his widow Maria Catharina de Kuyper ran the business for a while, gradually handing over to her sons, Charles and Johannes. The mid-19th century was a new boom time for distillers. The combination of lowered domestic excise (now down to 15.5%) and a rapidly growing population resulted in increased consumption on the domestic market. There was also a sharp increase in the demand for export jenever, particularly to the United States, the west coast of Africa and to England, which traded onwards to its colonies. Jenever had been a well-loved product in England ever since English troops had first encountered it on the battle fields of the Lowlands from 1585 onwards. It reached its apotheosis on the English market from 1689 onwards when the Dutch William of Orange took the English throne and introduced a blockade of French goods. Suppliers of French brandy in England dwindled and it became both fashionable and patriotic to follow the King’s Dutch habits and drink jenever. Staying true to historical precedent, De Kuyper concentrated on the export market, particularly the English market. In 1827, one of De Kuyper’s most important and long running customers, Matthew Clark & Sons of London, make their first appearance in the De Kuyper accounts. In the years up to the end of the 19th century this English company accounted for between 25% and 50% of De Kuyper’s annual turnover. Clark was also responsible for introducing De Kuyper to John Hope & Co, a Canadian company based in Montreal. The relationship formed with this company would prove to be one of the most rewarding in the history of De Kuyper. The Canadians adored jenever, sales grew rapidly and by the end of the 19th century Clark and Hope & Co together accounted for a good 85% of the De Kuyper turnover. During the second half of the 19th century, De Kuyper bought in most of their malt liquor requirement; between 1846 and 1850 over a million litres of malt liquor were purchased annually. According to an industry survey conducted between 1887 and 1889, De Kuyper employed 66 people, making it one of the largest distillers in Rotterdam, Delfshaven and Schiedam. However, besides upgrading the stills in 1860, very little reinvestment was made in the company. Instead, profits remained within the firm and were used to buy securities. The 1860s saw rapid developments in the efficiency of processes used to produce brewer’s yeast, as well as the invention of the Coffey Still which produced alcohol in one continuous process. These advances meant that more alcohol could be produced more quickly and more cheaply from un-malted grain. Alcohol produced in this new way was purer and virtually neutral tasting. At the same time, beet sugar refineries began to distil molasses, also producing a neutral tasting alcohol. As this was an additional activity within existing factories the resulting alcohol could be marketed relatively cheaply. The malt distillers maintained that because of their neutral taste, continuously distilled grain and molasses spirits were inferior, and produced inferior jenever. Cheaper alcohol resulted in more distilleries, increased competition and eventually imitation products. It was these knockoffs that led to the evolution of trademark registration and in the middle of the 19th century to the emergence of brand protection. It is not known exactly when De Kuyper began using the Anchor and Clover-leaf symbols (possibly derived from the names of the two distilleries) but the oldest known registration of the trademark was made in Canada in 1875. The label and case-mark were registered in England in 1876 and in the United States in 1883. The boom time for Dutch distillers continued into the first decades of the 20th century. In 1894, De Kuyper purchased 3.6 million litres of malt liquor. By 1913 it purchased 7.6 million litres, allowing for the production of 8 million litres of jenever. In 20 years, turnover had doubled with most of this rise accounted for by orders from the Canadian agent, Hope & Co. In 1913, Hope & Co was responsible for 77% of De Kuyper’s turnover. During the early years of the 20th century Hope & Co together with Clark accounted for 95% of turnover, other export markets, including New York 3 or 4%, and the home market just 1 to 2%. Although De Kuyper had always concentrated in the export market, it’s possible that this low domestic figure was also the result of a decrease in the per capita consumption of spirits as a result of higher alcohol duties, which had been implemented partly to meet Treasury needs and partly as a result of social concerns about the consumption of alcohol. The increasing market presence of cheaper imitation products led to the formation in 1900 of the Brandersbond (Malt Distillers Association), which represented the jenever distillers of Schiedam and successfully lobbied the local council into passing bye-laws monitoring the labelling of jenever. As the Dutch centre of jenever distilling, Schiedam attached great value to the traditional manner of manufacturing using malt liquour. Under these new laws, malt and jenever distillers could now have their products tested, and if successful labelled ‘Echte Schiedamse Moutwijn’ (Authentic Schiedam Malt Liquor) and Echte Schiedamse Jenever (Authentic Schiedam Jenever). It’s also at around this time that the term ‘oude’ crops up alongside jenever. The word ‘old’ in this instance refers to traditional methods of production and not the age of the beverage. When the Westzeedijk road was constructed, the Rotterdam distillery on the Baan lost its connection with the River Maas so in 1910, in order to remain accessible by water to the sea ports, De Kuyper built and moved to a new factory in Schiedam. More mechanised than its predecessor, this new site boasted two diesel engines, state-of-the-art concrete vats lined with glass tiles, a small cooperage, a fully mechanised bottling plant and a laboratory with two technicians. For a period, Rotterdam continued to figure on De Kuyper’s labels as it remained the official seat of the firm, but the move to Schiedam proved to be a permanent one and the distillery remains the home of De Kuyper to this day. Though Holland remained neutral during WW1 it was a difficult time for international trade, with shipping at the mercy of sea mines and German submarines that sometimes attacked ships sailing under neutral flags. Though De Kuyper had managed to ship to Canada in the early years of the war, there were no sales to that market in 1918. From 1917, grain was reserved for use as a basic foodstuff, and no malt liquor was produced. As De Kuyper jenever relied solely on malt liquor for the production of its jenever this resulted in a dramatic decline in turnover. However, limited supplies of jenever resulted in higher retail prices but as De Kuyper was able to continue supplying England during this period no real losses were incurred. The end of the war heralded a glorious period of high prices and high sales and in 1920 De Kuyper achieved record turnover with 81% of sales accounted for by Hope & Co in Canada and 15% by Clark in England. However, there was now a growing international concern about alcohol abuse. The Dutch government increased excise on alcohol which resulted in a predictable decrease in consumption. In Norway, Finland and America more draconian measures led to the prohibition of both the production and consumption of alcohol. The impact of American Prohibition on De Kuyper was fairly minimal as the company was able to smuggle jenever into an American market that had never accounted for more than a few per cent of its sales anyway. The 1920s saw De Kuyper enter the liqueur market for the first time, and by the 1930s twenty varieties of liqueur were in production, including apricot brandy, cherry brandy, triple sec and crème de menthe, though these accounted for only 2% of turnover in litres. The newly introduced lemon-flavoured jenever proved important and De Kuyper also produced Voorburg, a sweetish bitters made from herbs. Despite these efforts however, turnover in the 1930s amounted to less than 1 million litres, a shadow of the 1913 total of 8 million litres. By now, increased Canadian import duties had reached critical level, so an agreement was set up with the Canadian Industrial Alcohol Co for the blending and bottling of De Kuyper products in Canada. This arrangement was not particularly successful, so in 1932 De Kuyper entered into an agreement with Meagher Bros. and Co. Ltd which gave De Kuyper a 70% holding, and a malt distillery was set up in Canada. With Henry de Kuyper at its head, the operation quickly proved a success, and in 1937 production capacity of the malt distillery was upped by 50% and Canada once again became the most important source of profit for De Kuyper. When American prohibition came to an end in 1933, De Kuyper entered into an agreement with National Distillers Products Corp. of New York, thus establishing John de Kuyper & Sons Inc. of New York, a limited liability company which gave both parties a 50% share. De Kuyper was responsible for the production of jenever and liqueurs from a production facility in New Jersey, which left National Distillers supplying the alcohol and running sales. American interest in jenever proved to be disappointing, and although sales of liqueurs were more promising, when National Distillers wanted to expand in 1936, the De Kuyper partners in the Netherlands refused to inject matching capital and a deal was done giving National Distillers 70% of the company. During these early years no dividends were paid out from the American company. The onset of WWII brought a new set of problems to a company that relied heavily on exports and as early as June 1940, with shipping and international trade pretty much at a standstill, the company had to dismiss personnel. It has been suggested that by the spring of 1944, Germany (both abroad and as occupiers) was consuming more than half of what was produced by all Dutch industry. It became apparent to De Kuyper that any losses of overseas trade were compensated for by this new German market and by August 1940 workers could be re-hired. Enterprising wartime behaviour led De Kuyper to experiment with product lines to fill gaps created by disappearing traditional drinks such as imported whisky. Its “Fine Old Whiskey-Blended Rue” was just a quarter whisky blended with a mix of essences. To avoid adulterating the De Kuyper brand, these wartime products were sold under new labels. But as the war progressed, fierce rationing cut the amount of alcohol available for beverage production to a sixth of the pre-war quantity. By mid-1943 activities at De Kuyper declined to such an extent that staff were given several hours a day off work, but were kept on full pay to protect them from exportation to German labour camps. Just before the war, and anticipating a break down in communications with its foreign subsidiaries, the company had signed a deed giving Henry De Kuyper in Canada carte blanche to run John De Kuyper & Son as he saw fit. Through his tremendous foresight he accumulated sufficient alcohol stock to keep production going for four years, so when in 1942 the distillation of alcohol for beverages became largely prohibited, John De Kuyper & Son was still able to continue making jenever, and thus maintain strong consumer awareness. In 1947 the organization of distillers in the Netherlands spotted an anomaly. More ‘oude’ jenever was being produced than before the war, although there was less malt liquor available, thus suggesting that recipes had changed. 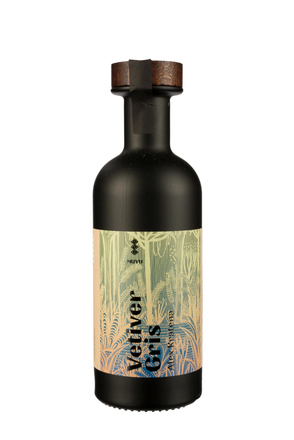 For a while ‘oude’ jenever coexisted alongside ordinary jenever, and it was only in the 1950s that the term young jenever came to be applied to ordinary jenever. One of the first distillers to introduce young jenever noted that it was “without unnecessary adulterations”, referring to the fact that oude jenever was augmented with sugar and caramel. De Kuyper sold a variety of young jenevers and even a young malt jenever. The end of the war did not give De Kuyper the opportunity it might have liked to crack on with developing the local market. Instead, it was hampered by emergency systems set up by the government (and kept in place until 1951) to encourage the import of foreign currency. Alcohol was rationed to businesses according to 1939 turnovers and businesses had to use their rations to supply the export and local market in the same proportions that had applied in 1939. So De Kuyper, whose pre-war sales had been primarily to the overseas market, was now obliged to continue focussing on this market, and it was only in 1950, (just as vodka was starting to gain in popularity over gin and jenever) that De Kuyper was able to turn its attention to the local market. In the 1960s Vieux (a mixture of French brandy, alcohol and vanilla and previously known as Dutch Cognac) and lemon-flavoured jenever achieved good domestic sales. Both young jenever and Vieux were well suited for the new style of long drinks and it was at this time that De Kuyper began organising national cocktail competitions for the off-license trade. Aimed particularly at the female market, fruit flavoured jenever and advocaat were also doing well. However, better turnover did not result in better profit and it became apparent that the only real benefit of the home market during the 50s and 60s was its contribution to the running costs of the Schiedam plant (at this time the number of employees peaked at about 100) so in 1966 De Kuyper decided to hive off the home trade department into a separate public limited company, De Kuyper Nederland NV. It’s worth noting that this period saw the beginning of a decline in the number of distilled beverage companies operating on the home market. In 1965 there were some 200 but by 1972 there were 163. During the 50s, foreign markets were managed from Schiedam, with local agents in some 20 countries. Pre-war relationships with Matthew Clark in England were revived and the two companies together injected cash into advertising. Particular successes on the English market were De Kuper’s advocaat and cherry brandy (made with Dalmatiner Sauerkirschen, a kind of sour cherry). Between 1946 and 1970 it was the Canadian market that contributed more than 60% to annual profits. During the 1950s De Kuyper was still operating with five equal partners, a company structure that was not always conducive of the best decisions, and furthermore, in 1971 the accountants showed that since 1945, by operating as a partnership, about 70 percent of profits had gone to the Netherlands Inland revenue. So in 1972 each partner restructured their holding into a separate limited liability company and in 1973 these limited liability companies, in concert, established Beheermaatschappij Johs.de Kuyper & Zoon. BV, thus ending a company structure that had existed for more than two hundred years. Shares remained in the hands of the family but for the first time since the company was formed, people not related to the De Kuyper family were appointed to the Board of Directors. State controlled liquor distribution had continued in Canada when the war ended. There were 12 liquor boards, one per state. Each board determined which products would be carried by the state controlled retail outlets, purchased the products and looked after distribution and sales. So whilst getting an initial listing was challenging, once achieved, the liquor board did a lot of the work that would normally be the responsibility of the producer. Only 12 customers had to be serviced and bills were paid promptly. De Kuyper had a listing for jenever while its partner, Meagher Bros & Co. had listings for liqueurs. Throughout the 70s and 80s Canada contributed a good half of company profits but from 1980 the consumption of distilled beverages gradually declined. In 1978 and reflecting a global trend of rationalisations and mergers, De Kuyper’s partner, Meagher’s Distillers, was taken over by Corby Distillers. In turn, in 1990 Hiram Walker & Sons (a 100 per cent subsidiary of Allied Domecq) became a 52% shareholder in Meagher’s Distillers. To reduce losses made in America, John de Kuyper & Son Inc. had moved from New Jersey to Cincinnati where rent and wages were lower. A steady trickle of new liqueurs such as Amaretto di Cupera, Peppermint Schnapps and Apple Barrel Schnapps were developed for the local market, putting De Kuyper in a strong position in the American liquors market. In 1950 the most popular product was crème de menthe and the 1984 launch of Peachtree Schnapps was a glorious success that in 1985 resulted in a doubling of US turnover. 1986 - U.S. interests pass to James B Beam Distilling Co. In 1986 when National Distillers sold its entire group of distilleries, De Kuyper also sold its 30% holding, and the entire group went to James B Beam Distilling Company. De Kuyper retained the trademark rights, granting their use under license: any recipes developed in the US under the De Kuyper name remained the property of De Kuyper. In 2011 the Cincinnati production was closed and Jim Beam Brands Co now produces De Kuyper liqueurs in two plants in Frankfort and Clermont Kentucky. In 1993, De Kuyper ended its long running relationship with Matthew Clark, and Teltscher Brothers became the new UK importer. The Japanese importer, Mercian of Tokyo, created a low alcohol canned drink which was based on Peachtree and called Peachtree Fizz. 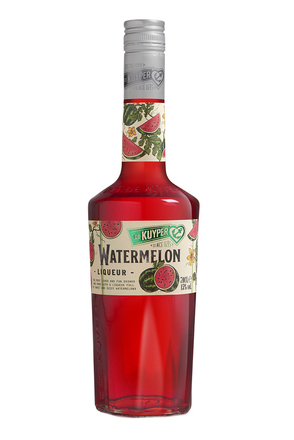 With a view to entering other markets in the Far East De Kuyper developed a liqueur based on lychees called Kwai Feh. Also in 1993, First Drinks (now William Grant UK) was appointed exclusive distributor of the De Kuyper liqueur range in the UK and is still the current distributor. Competition on the Dutch market had become keener from 1975, with the ending of collective resale price maintenance, and the introduction of cheap un-branded jenever, often sold through the new style supermarket outlets. However, the popularity of jenever was declining at all price levels and a re-launch of De Kuyper’s Export Jenever in 1983, as De Kuyper Ketelgestookte Jenever, with an advertising campaign that played up the traditional craftsman-like nature of the distillation process that De Kuyper still uses today, failed to boost sales. In 1986 a separate corporation, Muier Schipperbitter Maatschappij was founded and in association with the city of Muiden’s on-trade and the skippers of the city, the herbal liqueur Muier Schipperbitter was launched and is still sold to this day as Schipperbitter. Though De Kuyper had achieved some success in Germany through lowering prices and margins it was felt that pursuing the same strategy on the home market would not be particularly effective as declining sales were attributed to an overall decline in the consumption of spirits and a corresponding growth in the consumption of beer and wine. Between 1956 and 1993 the number of distilleries in the Netherlands fell (partly as a result of mergers and takeovers) from 238 to just 42. By now, De Kuyper was fairly unusual in functioning as a small family business in a world of corporate giants. In 1995, on the occasion of its 300th anniversary De Kuyper received a royal endorsement from Queen Beatrice of the Netherlands and the company become De Kuyper Royal Distillers. In the same year De Kuyper became the owner of Erven Warninkje, a long running company that was first established in 1616 as one of the first producers of advocaat and which is today the largest manufacturer of quality advocaat, outselling all other advocaats. 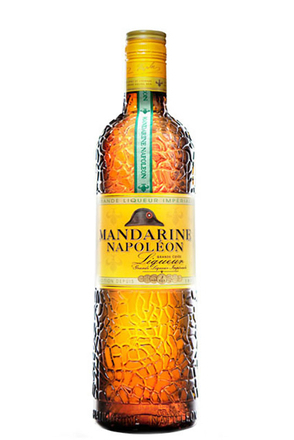 Mandarine Napoléon liqueur is said to have been created by Napoléon’s physician, Antoine-Francois de Fourcroy. It was brought to market in 1892 some 71 years after Napoléon's death, by Belgian chemist Louis Schmidt, who claimed to have discovered the recipe while studying Fourcroy's diary. 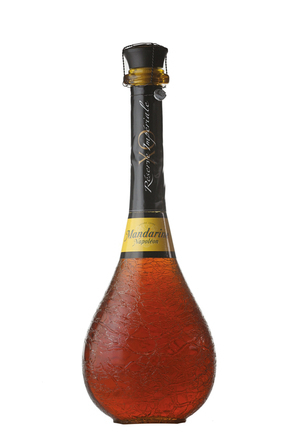 The spirit was launched under the Fourcroy family name, and Mandarine Napoléon remained a family business for five generations until it was purchased in 2009 by De Kuyper who were family friends of the Fourcroy family. 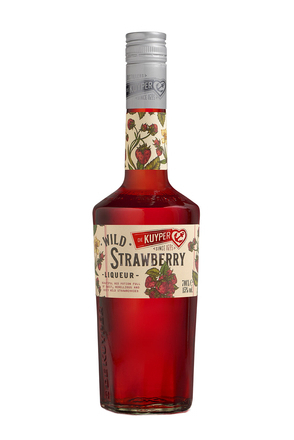 In 2010, De Kuyper began producing No.3 Gin for Berry Bros. & Rudd of London. 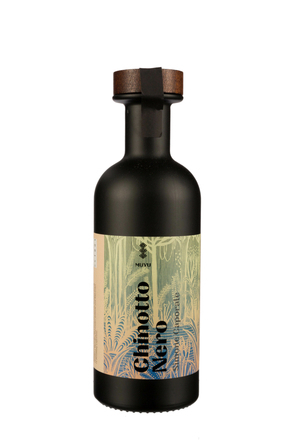 It is presented in an olive green square bottle which is inspired by the “Pontil” bottles from the 1800’s used to ship spirits from Holland. King’s Ginger, a distillate of macerated ginger root and lemon peel that was first produced in the 1930s and re-launched in 2010, is also produced by De Kuyper for Berry Bros. & Rudd. In May 2011, Rutte & Zn, a historic artisanal jenever and liqueur producer was added to the company portfolio. Rutte & Zn was established in Dordrecht by Simon Rutte sometime around 1830. Simon's gin, liqueur and eau-de vie recipes were handed down through five generations of his family and the last Rutte to lead the company, John Rutte, died in 2003. A range of De Kuyper products are still marketed in the US by Beam Inc. In 2011 the family launched its own Florida based subsidiary company, Royal Dutch Distillers, which is run by 11th generation Marc de Kuyper. The goal of this importation company is to create a high end portfolio with Mandarine Napoléon and Rutte jenever as its flagship products. De Kuyper produces and owns ChocoVine (a blend of wine, Dutch chocolate and cream), which was created by De Kuyper (originally for US Clever Imports) in 2009, with a particular view to the American market. It’s now distributed to over 40 countries. 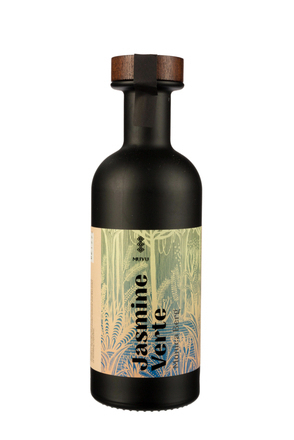 VineSmoothie was added to the ChocoVine range in 2012. In 2013, De Kuyper unveiled a new distillery (consisting of three new copper pot stills) at their headquarters at Schiedam and at the same time re-launched their liqueurs in restyled modernised packaging. This first product relaunch in 18 years divided the 43 liqueurs (which, except its pepper variant, are produced from the copper stills) into four groups: The Essentials, The Traditionals, The Fruits and The Distillers Signatures. Cafétique, launched in 2013, is a convenience coffee product sold in a high quality presentation box offering a 30ml liqueur capsule to flavour your coffee. Current statistics show a decline in alcohol consumption in the Netherlands of about 1 or 2 % a year although what is drunk tends to be better quality. De Kuyper, as the producer of top quality hand-crafted products, is well set to make the most of this changing market. The intention is to remain a family business and the unwritten rule within the company, drawing on lessons learnt in the past, is that no more than one or two family members will be involved in active management at one time.